In many ways drummer John Bradbury was the glue that held 2-Tone together. It was his relationships with many Coventry-based musicians, both pre and post-2-Tone, that added to its history. He had a hand in helping to start both The Selecter and The Specials and he stuck with Jerry Dammers upon the break-up of the band to play drums for The Special AKA. He was also the leader and founder of the "JB Allstars" soul revue band, who's final single "Alphabet Army" was released as last ever official 2Tone record. Brad has since worked with The Special Beat, the reformed Selecter and ska punkers "Big 5". He also produced the album "High and Dry" in the 90s for UK Ska resurgence act "Maroon Town". Most recently he joined his Specials band mates for their first reunion performance at Bestival. Born in Coventry, Bradbury attended Hull University. On his return home from school, the reggae and soul loving drummer took up with a number of bands including the "The Transposed Men" where he played with The Selecter's Neol Davies. Both he and Davies would ultimately be responsible for the track "Kingston Affair"which became the track we know as "The Selecter" by The Selecter (the group did not exist at that time) and found national release as the flip side of The Specials' debut 45 "Gangsters". After the original Coventry Automatics' drummer Silverton Hutchinson departed, Dammers called on Brad and The Specials were complete. But the connections do not end there. Based on his experiences with 2-Tone, Bradbury decided to have a go at running his own record label. He launched the short-lived Race Records in February 1981 with a party at the Hope & Anchor where he introduced his first two signings: a ten-piece reggae band called Night Doctor and a smaller combo called Team 23. 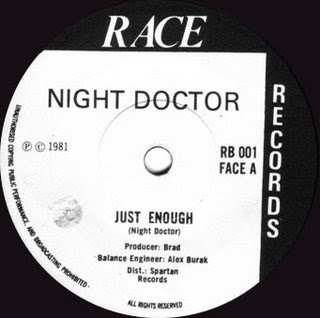 Night Doctor put out "Just Enough" b/w "Hit & Miss Affair". Race Records two signings were quickly joined later by The People. In 1981, The Selecter made the dificult decision to leave 2-Tone to sign a separate deal with Chrysalis. As the dust was beginning to settle on the split from 2 Tone, keyboard player Desmond Brown decided he had had enough and quit the band. Taking stock of the situation the band made the decision that some sections of the band were not up to the job and bass player Charley Anderson was asked to leave. 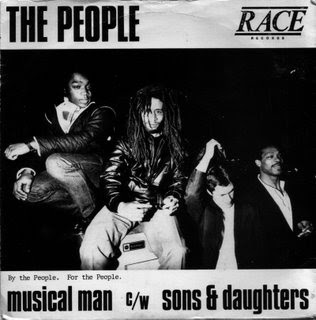 Harking back to their days in Coventry reggae band Hardtop-22 (with Neol Davies and Lynval Golding), Charley and Desmond went on to team up with original Specials drummer Silverton Hutchinson to form The People. Bradbury quickly signed the band who released a single "Musical Man" b/w "Sons & Daughters". The A-side an ode to Specials trombone player Rico Rodriguez. The label released one more non-ska/reggae song by The Lemons and then called it a day.